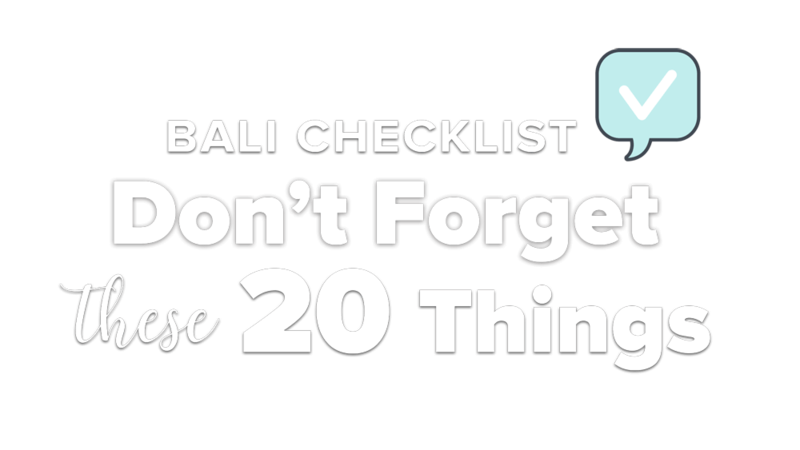 One of the biggest concerns for parents living in Bali is the education and schooling for their children. We have put together a collection of the best and diverse Indonesian and International Schools in Bali, for Expatriate and Indonesian children. Trihita Alam Eco School is a playgroup through kindergarten private, secular and independent school located in Denpasar, Bali. Each child's potential is developed through child-focused and play-based curriculum in a safe and caring environment. The team of teachers and staff at Trihita Alam Eco School are passionate and committed to inspire and equip your child for the future. The classes at Trihita Alam Eco School are: Playgroup (18 months - 2.5 years), Pre-Kindergarten (2.5 - 4 years), Kindergarten 1 (4 - 5 years) and Kindergarten 2 (5 - 6 years). Providing an education based on moral values which teaches students to respect their teachers, their parents, each other and the earth as a whole. Equipping parents with the skills and background that will enable the children to keep learning and flourishing even outside the classroom. Building strong local communities where families and children will apply the principles of sustainability to help the environment. Surrounded by rice paddies, the beautiful open-air classrooms are also accompanied with farm animals such as white pigeons, chickens, rabbits and a fishpond to enhance the child's learning experience. Trihita Alam Eco School accept enrollement, free-trial class, or visitations. 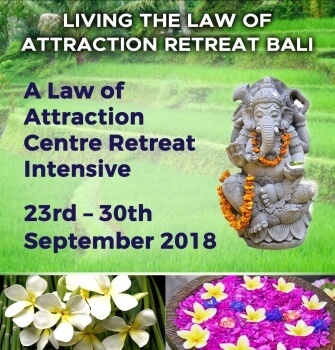 Located in Kerobokan, Bali this Bali School acknowledges that human beings are physical, mental and spiritual beings - all aspects of which require nurturing and attention. To achieve this ideal for their student's development, Sunrise use special integrated approaches to learning and in their curriculum. Sunrise School combine the internationally recognized WES curriculum from London with new and innovative environmental education and special cultural/art programs, offering students an exceptional opportunity for personal growth. Classes are project-oriented and offer many opportunities for hands-on, experiential learning. To nurture a sense of community and teach healthy social skills, Sunrise School offers mixed age group classes that allow the older children to be inspiring role models for their younger friends - increasing self-confidence for all those involved. Varied levels of development within each class, means that children are able to work at their own pace, free of competition and encouraged by a strong sense of cooperation. To insure the quality of Sunrise School curriculum they continually work together with a network of other international & local schools, who are also dedicated to seeing children have the best possible experience in holistic, human oriented education. The beautiful natural surroundings of the school grounds at Sunrise offers an ideal opportunity to introduce (for the first time in the Legian area), a new and internationally recognized curriculum called Learnscaping, which is quickly becoming one of the world's most highly recognized innovative approaches to education. By presenting formal curriculum models as an experiential workshop, Learnscaping allows students to understand the relationship between their formal education and practical life experiences. It uses the natural surroundings and structures of the school as a laboratory for students to study and explore environmental awareness. At Sunrise School, a strong emphasis is put on the creative individual expression of each and every student. A complete arts program is offered, that gives children many opportunities to enjoy fully being who they are and appreciating themselves through their community's encouragement with ongoing performances and exhibitions. Sunrise School offers students a wide variety of exciting extra curricular afternoon activities including: Music, Theater, Arts & Crafts, Balinese Dance, Silat (a meditative form of Indonesian martial art training), Pottery, Clothing Design, Language Labs, and Computer Technology. 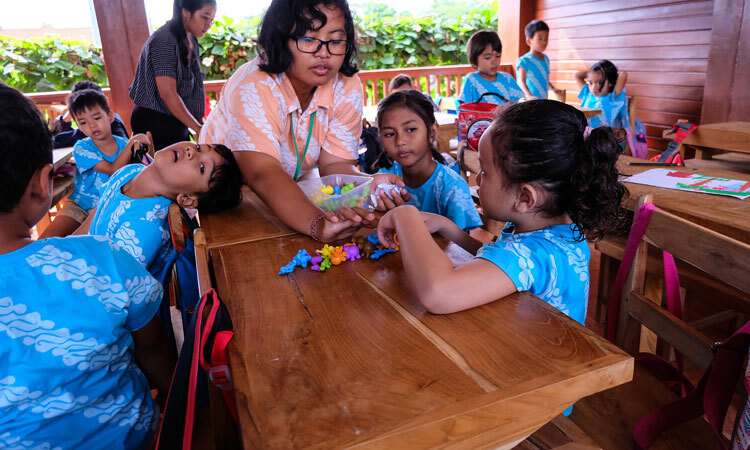 Located in Kuta, this Bali School understands the importance of developing caring, accomplished, global citizens through a quality international-educational system. Australian International School (AIS) is fully accredited Australian curriculum with qualified expatriate staff, has excellent facilities and all nationalities are welcome. Subjects offered are: English language, mathematics, science, studies of society and the environment, health and physical education, language other than English, the arts, and technology. Advantages of the Australian curriculum are student-focused, teaching at individual levels as well as gifted, special-needs and ESOL students are all well-catered for and learners develop independence and communication skills. 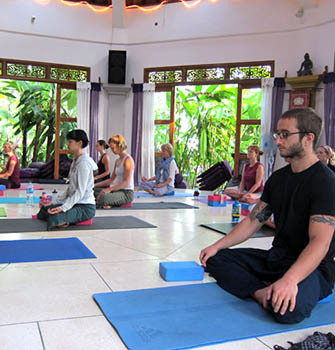 Located in Denpasar, this Bali School is an Indonesian School with a national curriculum. Mandarin and English lessons are taught every day with native speakers with a wide range of new, educational programs and teaching methods. Located in Denpasar, this Bali Kindergarten School has been running successfully to provide high quality education for children of different nationalities. Through DOREMI's educational activities and play, children develop their learning skills and gain confidence and feel it is important to socialize children early, to help them learn how to get along with others in a cooperative and supportive way. DOREMI's team of caring, experienced, professional teachers will help encourage your child's natural talents and abilities, be it; singing, dancing, arts crafts or sport. Umalas Kids Club takes great pride in being the only early learning centre in Bali that provides all year-round quality day care, playgroup and preschool program and focuses on children aged between 6 months to 5 years old. Umalas Kids Club believes that children learn best through play. A playful learning can involve purposeful, facilitated, guided or free play. In a positive and vibrant setting, the centre is a place for children of all nationalities, with various cultural, religious and language backgrounds to learn to share, to socialize and to discover new things every day. In their play-based centre you will see that the indoor and outdoor environments are structured so that children can play: Make believe play through various setting (kitchen, shop, garage, etc.). This offers children the chance to explore roles, relationships, skills – including language and numeracy skills and thinking and relationship skills. Building with lego/blocks etc. to develop mathematical, design, collaboration and negotiation skills. Sand and water play – to explore science concepts about volume, capacity, consistency, etc. Art – the purpose here is to encourage creative expression. Creativity creates alert minds that are able to invent and think outside the box. Stories, songs, rhymes – Children love them and they are a real help in developing language, rhythm, movement and a sense of community and lastly, Big movement play – where children stretch themselves – learn to manage risk – develop a sense of adventure and well-being as well as important physical and mental skills. Sanur Independent School is a co-educational, multi-national school, offering education to children from Kindergarten through to Year 7. The school offers a western-style education in the English language to both expatriate and Indonesian students. Learning takes place in a disciplined but friendly and fun environment. Admission is open to children of all nationalities provided they have a basic knowledge of English. The school and staff maintain a firm belief that all children have the right to learn and to reach their full potential. Each individual child has unique needs, and these needs must be clearly identified with an understanding of the child's background and ability. With discipline and encouragement, the school aim is to ensure that each child demonstrates continued improvement along the path to realizing his or her full potential. Sanur Independent School aims to offer quality education in a friendly, positive, creative and supportive environment. The school presently draws curriculum materials from a vast range of resources including Australia, America, Indonesia and England to ensure an easy transition for students with the intent to transfer back into their home environment. To be eligible for admission to Sanur Independent School, a student must be a legal child of a foreign expatriate parent who is temporarily employed and residing in Indonesia and in possession of a work and stay permit. The applicant must possess a foreign passport and possess, or be in the process of obtaining, a stay permit (KITAS). Alternatively, they must be the legal child of Indonesian parents. All lessons at Sanur Independent School are presented in English. It is the parent's responsibility to provide outside tuition to develop Basic English language skills. 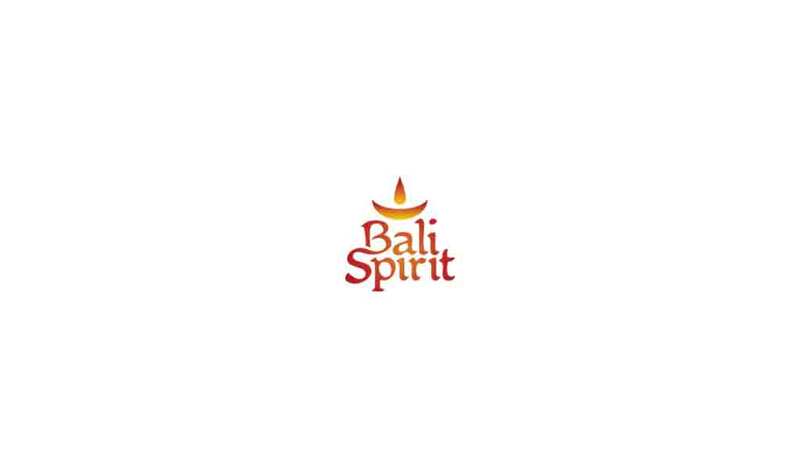 This Bali School is the oldest and most prestigious international school in Bali. Bali International School (BIS) was started by parents in 1986 and it is a co-educational, private, nonprofit school; serving students from pre-school to grade 12. BIS is accredited Preschool through grade 12 by the Western Association of Schools and Colleges and is authorized by the International Baccalaureate Organization for the IB Diploma Program, grades 11 to 12, and the IB Middle Years Program, grades 6-10. At the end of grade 12 students who have achieved the graduation requirements will receive a BIS Diploma. Bali International School aims to prepare students to thrive and succeed as caring citizens in a changing world by providing a quality education and a supportive secure environment in partnership with the community. BIS is committed to maximizing the potential of the individual student to prepare them to be responsible world citizens who think creatively, reason critically, communicate effectively and learn enthusiastically. The Faculty of the School consists of professionally qualified teachers from: Australia, Canada, Indonesia, France, United Kingdom, United States and New Zealand. One of the benefits for children is to have experience in learning from a diverse group of teachers as well as learning, playing and working with fellow students from all parts of our global community. A group of dedicated support staff helps make the entire Bali International School operation run smoothly. Bali International School prepares graduates to be effective citizens and communicators, complex thinkers and responsible, self-directed adults. Dyatmika School is located north of Sanur on a beautiful campus with purpose built facilities overlooking the Indian Ocean. Dyatmika is a well established fully licensed international and national school. The curriculum is taught in English and Bahasa Indonesia, using both the International University of Cambridge curriculum and the National Curriculum from playgroup until Class 12 high school graduation. Graduates from Sekolah Dyatmika go on to further studies in colleges and universities in Indonesia and worldwide. Dyatmika is a wonderful school to be a part of as it is innovative, academically focused, fun, passionate about the arts, sports, the extra curricular, the environment and being a part of the community of Bali. It embraces current educational research particularly in the area of bilingual education and relevant use of technology. The community is small enough to recognize and embrace the strength of every individual, yet large enough to be socially diverse. Opening its doors in 1996, the school has grown steadily from 27 students to around 400 students. Suta Dharma School is an education centre assisted by creative young teachers to apply creative learning. The School was started in 1997 using national curriculum combined with Montesorri system, a process-oriented teaching and learning in students, with teachers as facilitators. The school learning process begins from 8 a.m. to 2.30 p.m for Elementary, 8 to 12 p.m. for Kindergarten for 5 days a week. And for our Play Group program, the school starts on 9 a.m. to 11 a.m. for three days a week. The subjects taught are: Indonesian, Math, Science, English, Balinese, Religion, Dance, Computer, Music, Art, Civic, Ethic, Drum Band, Projects, such as: composting, recycle paper, etc, to play a Balinese Gamelan (Orchestra), and local arts subjects, such as: to make Balinese offerings, Balinese song and dance, mozaik, etc. Starseed Centre is a Steiner Kindergarten and Playgroup which is designed to respond to the developmental needs of 3 to 5 year old children using the Steiner philosophy of teaching. All Children will turn 6 by the time they have finished Kindergarten. Regular daily rhythms. Predictability and repetition are profoundly soothing to children. For this reason life in our centre follows a predictable rhythm. Holidays like Halloween and Christmas are celebrated with stories, songs, and art. Learning through imitation. Young children before the age of seven learn primarily by trying things out, using their bodies, and imitating the adults around them. The Centre responds to these drives by focusing on practical activities, such as baking, painting, gardening, and craft work. Art. Art is a vital part of the Steiner curriculum from the very beginning. In Starseed centre, the children paint with water colors as well as model with clay and draw with crayons. Singing, movement, and storytelling in groups. During daily circle time, the children sing, do finger plays, recite poems, and do movement exercises. Free play, both indoors and outdoors. According to David Elkind, author of The Power of Play, imaginative play is the catalyst for social, physical, emotional, and moral development in young children. Play based on the children's own spontaneous ideas is one of Starseed’s primary activities. The simple, open-ended toys in the classroom lend themselves to that kind of play. Everything in the classroom is made of natural materials – wood, stone, metal, cotton, silk and wool. Steiner educators believe that computers have no place in the three-dimensional, sensory, and open-ended classroom appropriate for the young child. Reading at home is encouraged – and some children do begin to read, but it is not taught in the classroom. 2 reasons for this are: Many children at 5 or 6 have not developed the fine motor tracking or intellectual focus needed to be successful readers and secondly, Steiner educators believe that early academics take the child's energy away from his or her real developmental task, which is learning through play. Pelangi School (Yayasan Cahaya Pelangi) is a private, non-profit alternative education center located in Desa Kumbuh, 10mins drive from central Ubud, Bali. Pelangi School opened in July 2006 as a parent-initiated community project, focusing on educating the WHOLE CHILD. Pelangi’s student body starts at tiny-tots and moves through playgroup, kindergarten and primary school grades 1-6. Pelangi’s curriculum is based on the British National Curriculum combined with KBK (Indonesian National Curriculum), and heavily influenced by Waldolf, taught in English and Bahasa Indonesia by native speaking teachers and their assistants. Pelangi provide a creative learning experience for all children, addressing their social, emotional, moral, intellectual, physical and artistic development through Holistic Education: multicultural, creative and student-centered. Small classes and flexible programs are provided, with an emphasis on artistic expression and social and environmental awareness. Pelangi serve a mixed population of children from diverse cultural and economic backgrounds. At Wood School Bali, their ethos is that all children should wonder, learn and grow as one with nature. 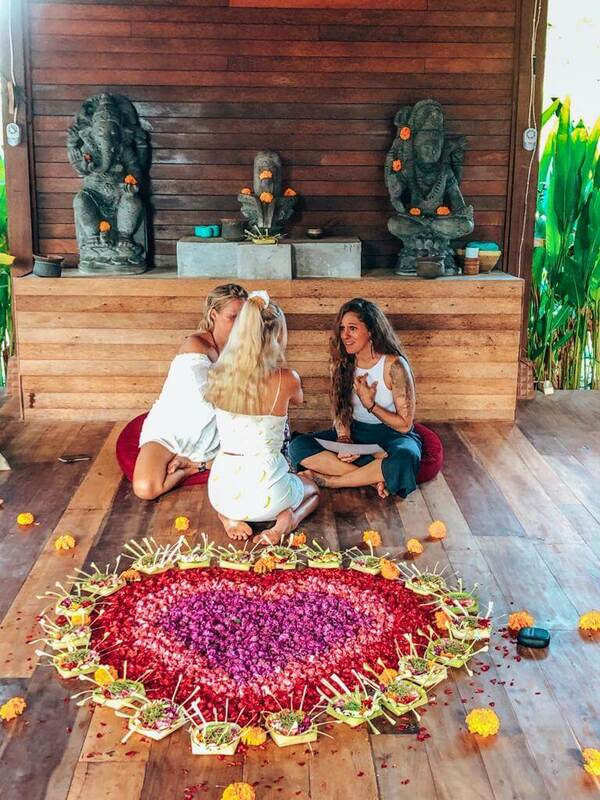 Located just outside of Ubud, Bali Wood School’s teaching follows a Neo-Humanistic Philosophy, which stresses the importance of embracing all people regardless of their differences and creating a global community. Students come from all over the world, from France and Russia to Tibet and Australia. Arul Selven, Wood School Bali’s Director and Founder, created Wood School as a place for children to better express themselves. "I wanted to create an alternative school where the students were free to convey their emotions in a constructive manner, through dance, music and arts. My hope for this school is to create a better generation with children who are morally and mentally sharp as well as spiritually awakened." Green School’s mission is to delivering a generation of global citizens who are knowledgeable about and inspired to take responsibility for the sustainability of the world. Green School offer children from Pre School to Grade 12 an all round holistic education and their curriculum contains the essential drivers of English, Mathematics and Science and features green studies and creative arts. 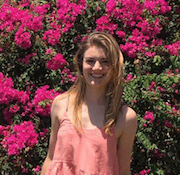 The curriculum is influenced by Steiner for the early years and migrates to a Cambridge GCSE program for grades 9 & 10, Grades 11 & 12 study the IB program. The Green School campus is strategically located north of Seminyak and Sanur, and south of Ubud. Buses and Car Sharing services are available to these surrounding locations. The teaching staff is led by Director Ronald Stones O.B.E. who has over 25 years experience in leadership positions at schools in Asia. Recent studies revealed that the most important component in student performance was the quality of teachers. With this in mind, Green School has staff have a wide range of qualifications including certified Waldorf and Steiner teachers, teachers with Masters, MBA, PHD’s, one of which is in Holistic Education. All teachers are qualified educators who are also engineers, psychologists, environmentalists, scientists, film, arts and media people, who are choosing to teach at Green School because they are passionate about equipping children with the skills they will need to face the challenges of future. Green School has possibly the smallest carbon footprint of any International School in the world. Constructed from environmentally friendly bamboo and other locally sourced natural materials and nestled amongst rice fields, the campus is a safe, beautiful and comfortable environment for children to develop both academically and creatively. Green School has been featured on CNN, ABC News Australia and in the South China Morning Post. 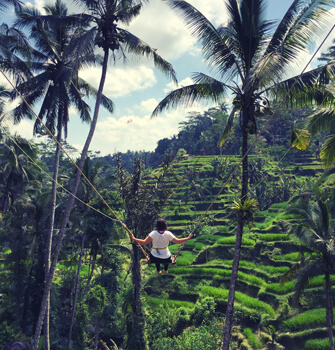 On the stunning 9 hectares Green School campus, is ‘Green Camp Bali’, exciting daily adventures with an environmental twist for 4 to 14 year-olds. The experience gives a taste of the Green Studies program that makes Green School unique. 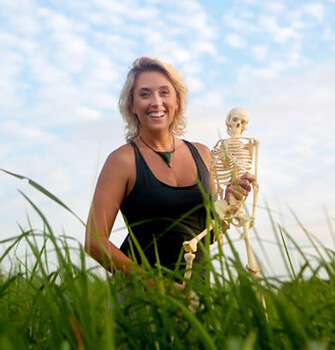 Green Studies is a hands-on approach connecting people with nature. It is built in strands: agriculture; animal care; bamboo design technology; permaculture; experiential adventure; and community outreach. Green Camp offer customised programs to schools, private and corporate groups from around the world. Green Camp graduates have a better understanding of themselves, Green Leadership and their roles and responsibilities as equipped and inspired global citizens. Located in Jimbaran, this Bali School is an English and Indonesian bilingual playgroup and kindergarten school. It has both national and international curriculum and uses the Montessori method of teaching. With its safe surrounding and whole range of activities it stimulates children's growth in mental creativity and allows the development of their personality, by encouraging them to be more aware and friendly with their environment. Their commitment does not focus only on the student's Intellect but also on their emotional and spiritual nurturing as well. The teachers are not only experienced and professional, their warmth and care will also create a friendly and loving atmosphere similar to their own homes. The Anak Atelier is an International Centre for Early Childhood Education that aims to provide meaningful early learning experiences connecting children, families and the community in a common passion for lifelong learning. Informed by best practice models that stem from international research on early childhood education, their approach empowers children to direct their own learning through purposeful exploration via a project-based program of inquiry. Based at Balangan in the Bukit Peninsula, Anak Atelier’s learning programs are led by an international team of qualified and experienced educators including: outdoor education and exploration, creative arts, movement and expression activities, literacy, numeracy and scientific experiences. The programs are catered to children aged 2.5 to 6 years. Short-term enrolment is welcome to families who are visiting or exploring school options before moving to Bali. The Anak Atelier is guided by the Australian Early Years Learning Framework which provides guidelines for children to develop the following five lifelong skills: A strong sense of identity, becoming confident and involved learners, being effective communicators, connecting and contributing to their world and developing a strong sense of wellbeing. To compliment this Framework, The Anak Atelier is inspired by the Reggio Emilia approach where parent participation and mentoring among teachers are actively encouraged. The environment also plays a fundamental role in supporting and extending children's learning. 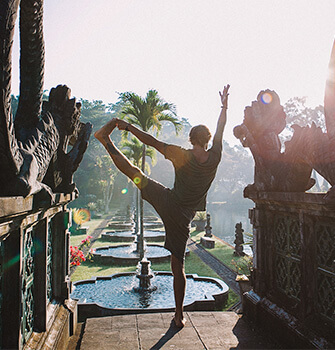 The Canggu Community School offers Bali's international community a high quality and affordable education platform based on the British National Curriculum, ensuring each student has the chance to develop his or her potential and talents to the full. Canggu Community School provides an educational and motivational base from which each student may take his or her place with confidence, in future high school’s in any country, by enabling that child has the chance to develop his or her full potential as a committed and valued member of the community. This modern international school is dedicated to develop in students the necessary qualities, skills and experience to become confident, self motivated, responsible and socially-aware teenagers. Set across a beautiful 1 hectare campus, children are carefully nurtured through crucial early years by experienced Western teachers under the UK National Curriculum, with access o a huge range of sporting and recreational activities. Upon graduation, children are able to proudly takes his or her place at a high school anywhere in the world with confidence, maturity and a thirst for knowledge. Curriculum: Canggu Community School (CCS) follows the National Curriculum for England and Wales for Key Stages 1 and 2. The two main aims for this curriculum are: To provide opportunities for all pupils to learn and to achieve and to promote pupils' spiritual, moral, social and cultural development and prepare all pupils for the opportunities, responsibilities and experiences of life.